"Do you want to hear a story about the Wildling?" 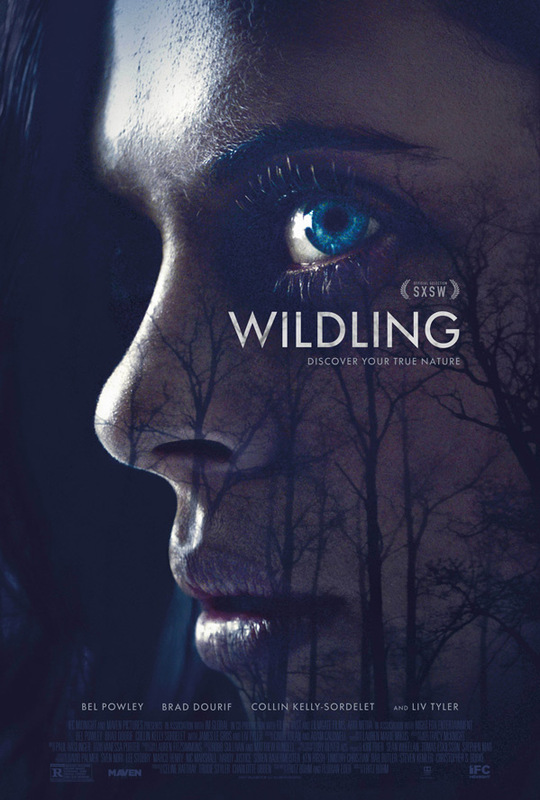 IFC Midnight has released the first official trailer for a new werewolf horror film titled Wildling, which just premiered at the SXSW Film Festival in Austin this last week. The film stars Bel Powley (from The Diary of a Teenage Girl, Carrie Pilby) as a young woman who seems to be a she-wolf, discovering the truth about her origins and who she really is. The cast includes Liv Tyler, Brad Dourif, James Le Gros, Mike Faist, Troy Ruptash, and Charlotte Ubben. This actually doesn't look so bad, more of a drama than a horror, but it looks to get into some werewolf action by the end. The final shot in this trailer is cool, and they of course don't want to reveal much else besides that for now. But it grabbed my interest, and I think this might be worth a watch. Fire it up below, werewolf fans. A teenage girl's coming of age comes with a terrifying twist in this spellbinding take on the werewolf legend. Since birth, Anna (Bel Powley) has been raised in isolation by a man she knows only as Daddy (Brad Dourif) who has done everything possible to conceal the truth about the girl's origins from her. But when the teenage Anna is suddenly thrust into the real world under the protection of no-nonsense police officer Ellen (Liv Tyler), it soon becomes clear that the young woman is far from ordinary. Unable to adjust to a normal life, Anna finds herself drawn instead to the wild freedom of the forest while struggling to resist the growing bloodlust that awakened inside her. This atmospheric thriller combines supernatural scares with a myth-like tale of self discovery. Wildling is directed by German filmmaker Fritz Böhm, making his feature directorial debut after working as a producer and post-production supervisor for many years. The screenplay is written by Fritz Böhm and Florian Eder. This premiered at the SXSW Film Festival this month. IFC will release Böhm's Wildling in select theaters starting on April 13th this spring. Anyone?